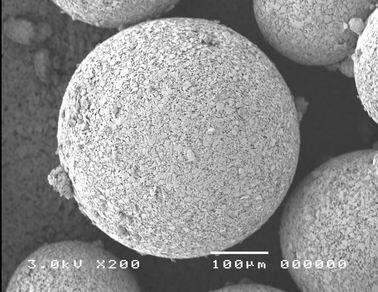 Can you make spherical granules? Yes, with Freeze Granulation it’s possible to make spherical, homogeneous and dust-free granules with optimal flowability which is critical for automatic uniaxial pressing of for ex ceramics and metal powders. You can expect spherical and homogenous granules of powders in terms of distribution of particle size and other possible additives you want to use. The granules with a size distribution in the range of 50-300 microns will have weak inter particle bonding making them easy to break down in pressing or re-disperse into another formulation. Very much depend upon how you intend to process the powder and depending on that, adaptation can be made. If you tell us more we can further discuss the opportunities. 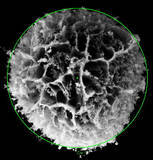 Posted by Kent on 2 June, 2011 9 January, 2016 in Powder ProcessingTags: dust-free granules, Freeze Granulation, granules, homogeneous, optimal flowability, sphericalLeave a comment on Can you make spherical granules? Do you have a powder or liquid processing project? Do you need support in your powder or liquid processing project? We have long experience in processing all kind of materials, so please do not hesitate to contact us if you need some assistance in your powder processing project. If you don’t find the information you need, please contact us. We’re always glad to help. Posted by Kent on 31 May, 2011 9 January, 2016 in Powder ProcessingLeave a comment on Do you have a powder or liquid processing project? What is the meaning of homogeneous granules? Freeze Granulation for optimal granule properties compared with spray drying. 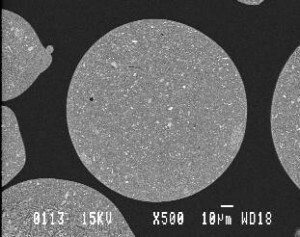 Homogeneous granules with no void formation, no migration of fine particles or binders, and no formation of hard dry shell. Posted by Kent on 30 May, 2011 9 January, 2016 in Powder ProcessingTags: granules, homogeneous, no hard dry shell, no migration, no voidLeave a comment on What is the meaning of homogeneous granules? What is the difference between spray drying and Freeze Granulation? For more info, please go to our Pros & Cons. The best way to find out if Freeze Granulation is suitable for your material is to let us do a test granulation. Freeze Granulation will be more expensive than spray drying as it is a two-step process. The relative difference depends on the scale and Freeze Granulation is more suitable for small or medium size batches where the demands on granule quality is high whereas spray drying is most suitable for large scale processing. How to avoid agglomeration of nanoparticles or powders? By using the most suitable dispersing and binder system in combination with Freeze Granulation, you will be able to avoid aggregates or agglomerates in your granules and in the final component. Please contact us and we will further discuss the opportunities with Freeze Granulation on your powder system and read more on technology and we propose a Granulation Test of your powder system. Posted by Kent on 30 May, 2011 21 February, 2016 in Powder ProcessingTags: agglomerates, avoid aggregates, binder system, dispersing, Freeze GranulationLeave a comment on How to avoid agglomeration of nanoparticles or powders? We have long experience in handling and processing of nanoparticles/nanopowders, for example, mix and granulate different powders and binders for to achieve improved homogeneity and increased performance of the final product. 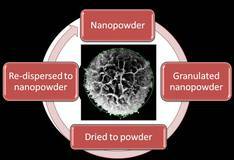 Freeze granulation gives the possibility to granulate nanoparticles/nanopowders achieving granules with high degree of homogeneity which are easily re-dispersed (if applicable) in a liquid or dis-integrated at a pressing operation. This is owing to the week inter-particle bonding compare to what is obtained in conven­tional drying. Consequently, the nanosized material properties will be preserved, i.e. nano will still be nano. Freeze-drying also prevents oxidation of metals or non-oxide materials as conventional drying do not, especially critical for nanopowders. PowderPro thank you for your visit to our stand B14 in Budapest. 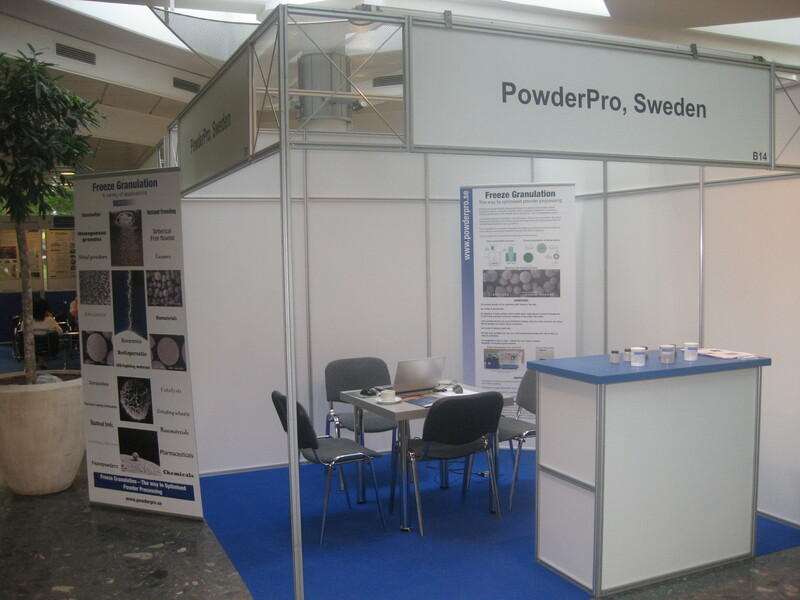 PowderPro invites you to our stand. We have long experience in powder processing of different powder and chemical based systems. PVA-PEG binder system is one example of a commonly used system for water-based Freeze Granulation, please check our paper Development of water-based processing of silicon nitride materials. Please use this form to contact us if you need support in suitable binder systems for granulation of your powder system and read more on Technology. Interested in test-granulation of your material? 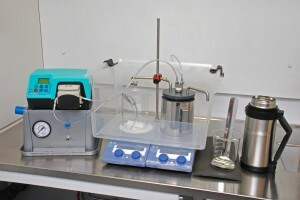 If you would like to test-granulate your powders or chemicals using Freeze Granulation, please contact us for details. You send your material and binders to us, we make the test-granulation using freeze granulation and then send the granulated material (granulaes) back to you for your evaluation and testing. Freeze granulation is considered to be a natural tool in most kind of material processing and development where optimal material performance is to be reached. PowderPro provides test granulations to reduced cost to evaluate the performance regarding your specific material system and application. When purchasing of granulation equipment, PowderPro provides help in concepts for suspension formulation/preparation and how to operate the equipment to achieve high yield and high-quality granules. Posted by Kent on 24 May, 2011 9 January, 2016 in Test-granulationTags: chemicals, freeze drying, Freeze Granulation, granules, spray freeze drying, test-granulationLeave a comment on Interested in test-granulation of your material?